Triangle shapes for Kindergarten. Coloring and tracing activity worksheet with Triangles to print. Pyramids, Pizza slices, Cake And Pie Slices, Christmas Tree, Etc are all triangle shaped. Triangle Shape activities for kindergarten kids is available in Printable PDF. Learn Triangle shapes. Triangles are one of the most common shapes which every child should learn quickly with this simple Triangle recognition activity worksheet. 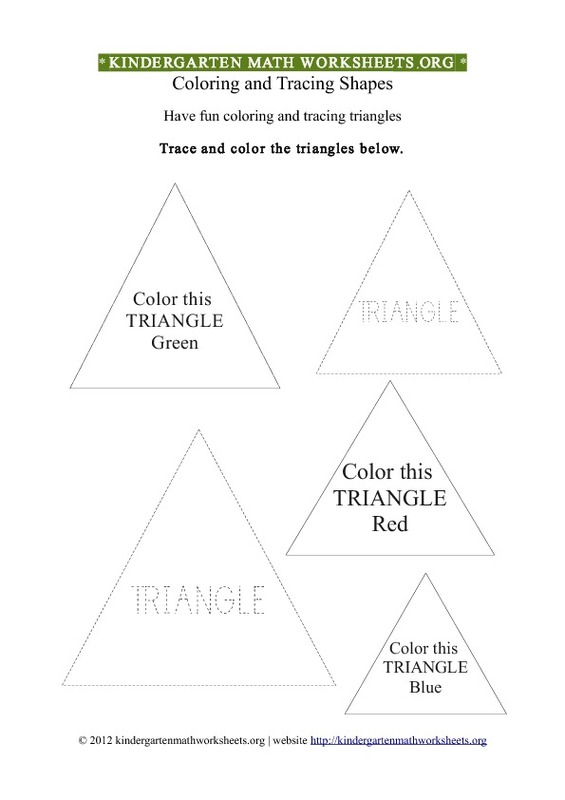 Description of worksheet activity: This Triangle worksheet contains various Triangles to color and trace, including Triangle words to trace ( dotted tracing ). Suitable for home and kindergarten classroom activities. Download the free printable pdf Kindergarten Shapes Triangles Worksheet.